Need a fast quote? Call 1300 668 180 now! Signature Tinting & Signs is a Sydney based company specialising in the installation of film and signage throughout Sydney CBD and regional NSW. Signature Tinting and Signs has over 30 years combined experience in the film and signage industry. We use films best suited to each project, taking into account, budgets and any requirements you may have, in order to achieve the best possible results. Our team is committed to delivering the best quality workmanship at an affordable cost. We are very selective in ensuring that only the best quality films are used for all projects. For any jobs which require the use of solar or security films, SolarGard is always our film of choice as they are cost effective and the majority of their films come with a 10 year commercial warranty and a residential lifetime warranty. Reduces heat, glare & UV, resulting in reduced energy costs. 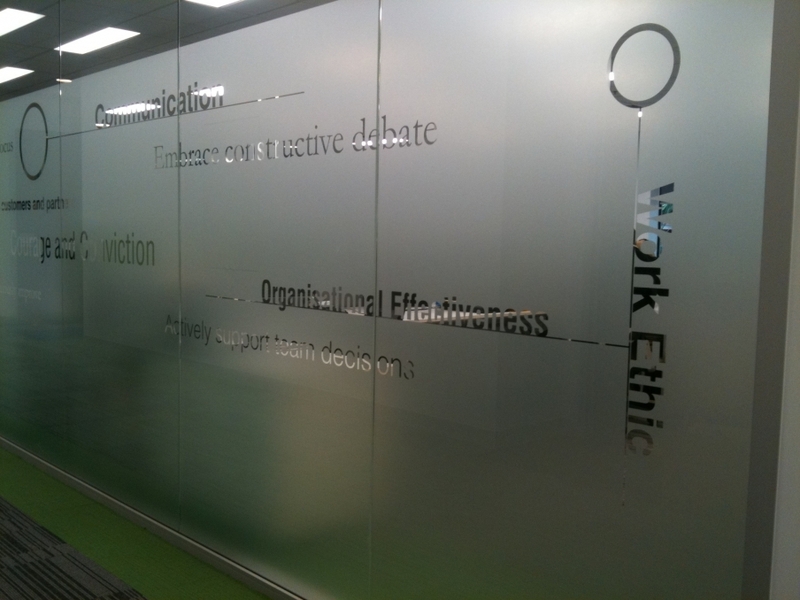 Reducing the risk of human impact whilst strengthening glass and adding protection. An easy and cost-effective way to prevent damage caused by graffiti. High quality digital images printed onto film for offices and car wraps. Digitally printed graphics, computer cut vinyl, full car wraps adding a professional appearance to your company vehicles. These can be applied to any glass surface or wall. We provide a large range of Di-Noc films, changing any hard surface is fast and more cost effective than replacement. Offers over 40 different patterns and designs for enhanced privacy and style, but also blocks out 99% of harmful UV rays. Prefer to talk to a real person about one of your projects? Call one of our experts on 1300 668 180.